Proof Groups are an efficient way of managing members who will often need to Review and/or Approve items in files & discussions. 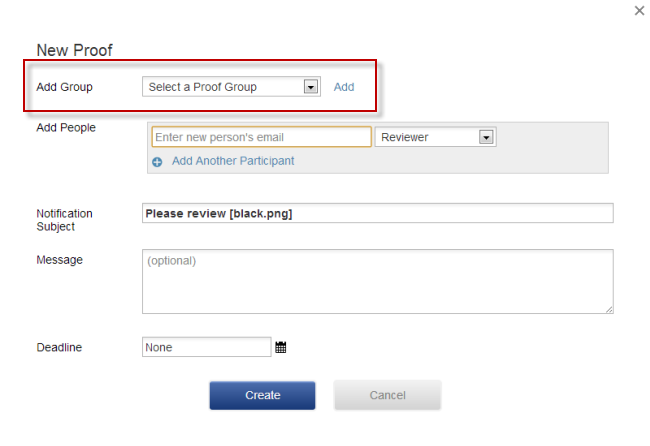 You can use proof groups to streamline your review and approve process. 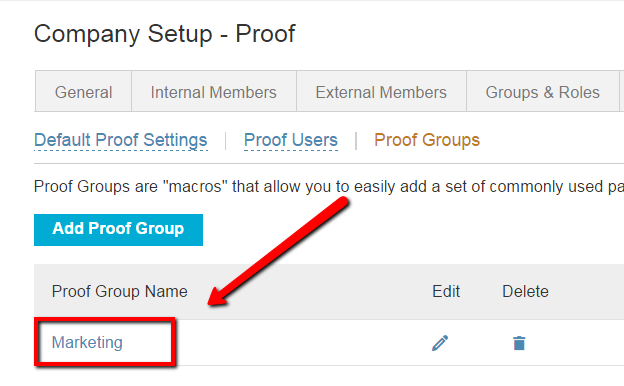 To setup a proof group login and navigate to the company admin menu (gear icon in the top right) and select Company Setup > Proof > Proof Groups. If there are no proof groups here you can begin creating a proof group right away and if there is at least one proof group already created click on the button Add Proof Group to create a new one. Creating a proof group requires that you do three things; create a proof group name, add participant email addresses, and add participant roles. When you are finished adding these details click save.